Roll out the rug, pack your picnic and uncork the wine ! 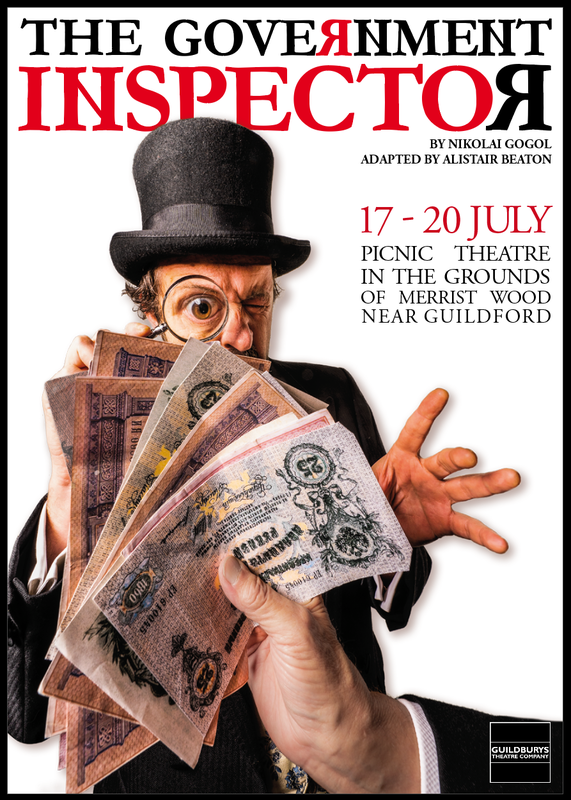 From July 17 – 20 it’s a feast of fun as The Government Inspector arrives at our beautiful Picnic Theatre in the grounds of Merrist Wood, near Guildford. HIDE OR BRIBE – HE’S COMING…….. The corrupt Mayor of a small Russian town in the middle of nowhere is horrified to discover that he and his crooked cronies are to be visited by a government official, travelling incognito. Plots to bribe him with wads of roubles and vodka spiral into an epic frenzy. The result is chaotic mayhem and masses of comedic delight. Adapted from Gogol’s satirical and eccentric comedy, the plot inspired one of Fawlty Towers’ most iconic episodes, and this adaptation of the original truly sparkles.